Dear Francy; My in-laws have gone from the sweetest couple in the world to a home with shouting, anger, and total rejection of home cleaning and upkeep. My husband is beside his self and trying so hard to keep them safe and calm. His mom is in her late 70’s and his dad is 82. Once active they are simply now doing nothing, rarely even prepare food. It’s really tearing my husband up and exhausting him trying to keep the plates twirling in the air both here at home and for their home. What can we do? Well the amount of dual diagnosis for couples is rising, I’m afraid. It’s really tough when you have both parents ill or suffering through side issues of emotions or depression. But lets take a few ideas and throw them around. As you know; the first and best idea is to re-locate them into a retirement situation that includes meals and activities. That would give you and your family so much time and energy saved with your parent’s care. On the down side; it would probably take the value of their home for their life care, so there will probably be no big inheritance in your future. Lots of children of elders think that the carrot at the end of their care-giving stick…is inheriting their parent’s home. (trust me, a lot of kids feel this way) If you can say goodbye to that future income; in exchange for the parents being in a place where their life can be relieved of so much stress and just think about their personal and health issues— it would make a huge change for all of you. But the reason I write this blog is that ‘most’ families can not do that change. The parents may not want to move, their home may not have equity, their income may not allow them to have assisted or retirement care. So what do families do if this is the case? Lets list a few ideas and see if you can take a few of them to help your current situation. Make the rules. If you are going to care for someone on a long-term scale…you get to have a say in the life style and home rules. Get the legal stuff out-of-the-way from the get-go. Get the power of attorney done and signed by both of them. Get their property in joint names and make sure that the dots and dashes are taken care of from day one. I just insist people take care of this issue, even if there is argument and hurt feelings; it’s the way the world is and business is business. Plus, you would never be able to help them in a doctor’s office if you do not have a Power of Attorney for health care signed and notory stamped. Everyone wants this doctors, hospitals, insurance, banks, and the list goes on. Trust me; get this part done. Take time with your own family and set up a calendar for the family and work. See the actual days and times that are free before you try to run over and solve your parent’s problems. 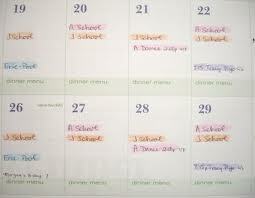 If you see that Wednesday is a low family value day…than just make it into a mid-week parent check day. Your husband or you will go over and solve mid-week problems, fix a good meal and spend time with them. Then another in person check can be done on the weekend. Work your own schedule not theirs. If they have a TV show or card club that night…too bad. They will have to tape the show and reschedule the cards; YOUR schedule is current and your own family comes first. That is the rule. Then we move on to care time. Buy a large calendar for the parents to put up on their kitchen wall. I have one with three months at a time. You are in charge of the calendar. You put in the month and dates and keep it updated at the end of each month. It’s a reminder calendar, birthdays, dr appt, at least one activity outside of the home each month, general things that you do around a house each month. This is the hub of what you will be doing and what they can do. You do things that require a ladder and detail work, they do things that are easy to achieve and safe for them to do. You will have to begin to put down the chore list on a small white board…each time you come, you give them things to finish when you are gone. Laundry or folding and putting it away. Or you do the laundry and bring it to them to fold and put away while you are there. It is how well they are functioning that you judge the chores. If you need to do a reminder and call them during the week…then snap a pic of their chore list on your phone..so you can remember what they need to be doing. Keep repeating the chore listing and asking how it is coming, push, push, push…they need to be doing and the confusion of what to do, and who is to do it and how to do it…is giving them stress and thus the arguments. This clearly defined listing of chores is still done, over and over. Do not cave…keep it up, make the chores easier or more complicated depending on their joint abilities. They need to move…so here are some tips. 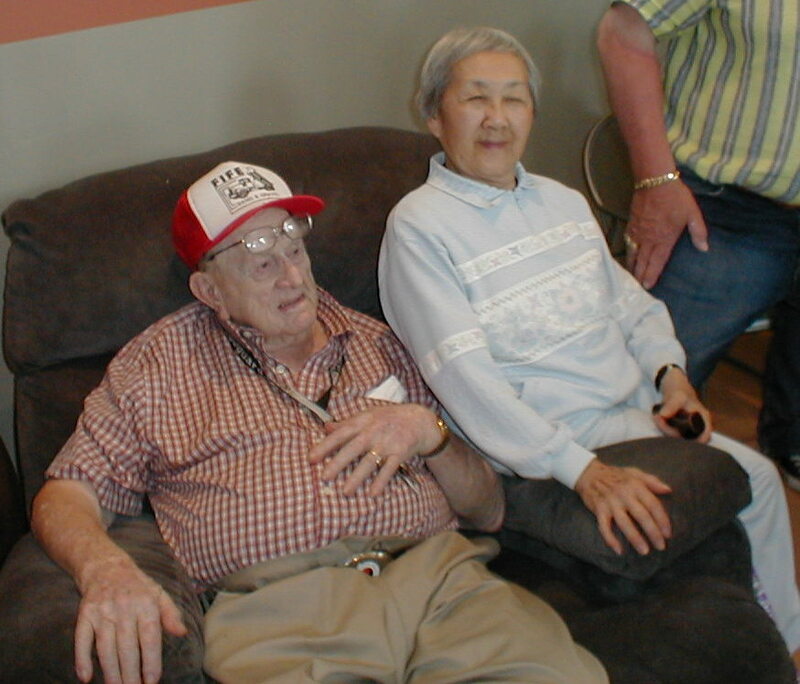 If you have close hands on, turn on the TV for the PBS ‘Sit and Be Fit’ or get DVR’s designed for seniors to move. If they need more supervision then take them to the senior center twice a week. If they can not go out and you are not there to help them…get a student to do it for you. Just like a dog walker; exercise students will come to home and do a 30 minute exercise with them. Seniors always respond to young adults. Visit a gym or college and find students that need to get some experience and hire them for a small amount to keep your parents moving and grooving. Walking? If the two of them can still walk, a walking group is a great way to add both movement and socializing to their life. Make a few calls…get creative and find local resources to help you care for them. Senior resources are available in all communities; more things than you can imagine…but they are there for the taking so find them. ‘Looking forward’ is a big issue with seniors. Get your kinds or your events up on their calendar to share. Let them look forward to grandson’s music concert this month. Let them look forward to a family birthday, wedding, shower, swim party. Get them involved in the function. 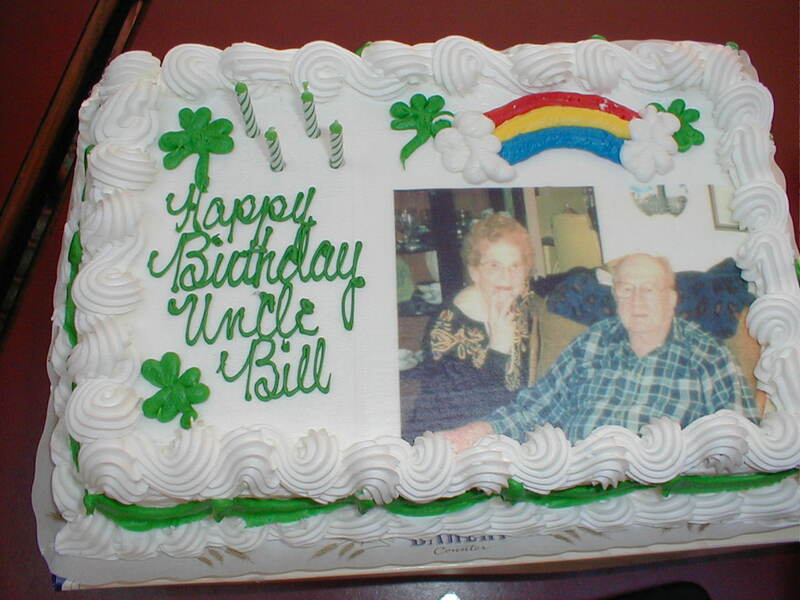 Grandma’s favorite salad should be made and Grandpa can help with putting up the decorations or setting up the tables. Use their skills and keep them busy. Just like the Cruise ship social director that keeps everyone busy on the 7 day cruise…you begin to get the feel for it and keep them involved in their family and community. YES THIS ALL TAKES YOUR TIME; but the key is to keep them busy, active and thinking. It will reduce down the stress and any household that is organized is much richer. It does nothing to just arrive and try to solve an argument. The idea is to keep your parent’s interaction more positive and show them that aging with health and emotional issues is simply a bumpy ride, not the end of their life. Their life needs to be supervised and that should be your role. You need to be organized too because for a few years, you will have three jobs. Work, your home, their home…that is a lot on your plate. Doing it with joy is very important so ask for help. If you have siblings…they get to step up to the plate. If they are out-of-town, or too busy to help…a financial help is required. Everyone has a limit; but even a monthly Safeway card with $25 or $50 makes a big difference for seniors and their food bill. Walgreen type of drug store gift cards are also perfect for the little things that all seniors in care need. Family can help; teenagers can do the lawn work, small children can visit and just read or play in front of the grand parents to keep them happy and busy while you work around the house. Aunts can make a weekly slow-cooker dinner that will be eaten for a few meals. Friends can be scheduled to come and visit once a week. YES…this takes your time, but it’s not impossible to do and once you get a support group going..your time investment goes down. Communities are adding more and more services. There are free family movie nights, summer free concerts in the park, local food markets, visiting people of interest that do free lectures, heritage communities have celebrations with free events and faith groups have on going senior gatherings. From libraries to local theatres…there are things to do for seniors. It simply takes time to make the investment of knowledge. I say it over an over again, if you do not have money…you make up for it with creativity. You talk to people you meet about your care for your parents and listen. I have found so many services from others that are involved with community services, charities and community outreach programs. It is amazing how much is available – even in small towns. I hope this information has helped you with your care. Seniors need to keep their homes clean to help calm and clear their minds. Help them with a plan of action to get their home back in order after living in their house for 20+ years! As we age our minds take in clutter in different ways. Many elders have slight to moderate dementia and clutter around them takes their brain away from relaxing. Even as they sit in their favorite chair and watch TV…they are looking around and telling their self they have to sort this or that pile of newspapers. Dear Francy; Mother is still in her home; she has fallen twice so we have a helpline service. She has a heart condition and she gets very tired. I go over every other day and do her basic shopping and other needs to keep her in her home. But, she will not let me touch a thing in her house. It is filled with old lady junk and really getting dingy and dirty. How can I get her off the dime and the house clean again? You know I always have to be the bad guy with this situation…because dirt and junk equals health concerns and falls. You have to sit down and tell her that its just time for spring cleaning. If she wants to stay in her home, she will have to do a clean-up and keep it safe. You cannot go over and watch her sitting in the middle of clutter and worry about her falling. Sounds good…but you need a plan. So figure out how you would clean the place before you have your family chat and make the time period for the plan of action after the talk very short. You chat with her on Thursday and show up to clean on Saturday! I would pre-plan a weekend that family, friends, or hired help can do a complete clean of two to three rooms. I always choose the living room and bedroom first. Then the next cleaning is in a couple of months and is the kitchen and bathroom. When I say the living room…it might be your mother’s family room, it’s the room she lives in the most and has the most stuff to sort and clean out. Get a group of helpers in line and pick a weekend so they all have it on their calendar. Then call them to remind them, or you’ll be standing there all alone. Do the plan in your mind and keep it on paper so when they arrive you can give everyone a job. Someone with a truck or van that can take things to the charity shop or dump. It has to go out the door and off the property that day. Give them money for gas even if they say no…gas is too expensive these days. Have some young people to lift and to carry boxes. Get boxes small from the liquor store. You can pack and move them easier than big fancy moving boxes. Since this is just a clean, you don’t have to go way out on the boxes and packing up old things to give away. Have a plan for the recycle. Newspapers and magazines are usually the biggest part of an elder’s out of control home. Know where to take them and have a map of the drop off so the driver can get there and back again. Get water bottles, cold drinks and I a good frozen lasagna to put in the oven and feed the crew. You can have a purchased salad and French bread. Have a box of cookies or cupcakes from the store and just let them munch as they work. Plan for 3 hours of work for everyone. That’s why you need your notes and to be really organized. Have good, sturdy, plastic bags to use for throw away. Have wipes for the cleaning and take over a good vacuum. Often elders have very old vacuums that will not work to get the dirt out of the house. Get a good duster and a can of furniture polish. Planning is the key. If you tell yourself you will pack up and carry out the junk one day and then come back the next day and do a steam clean of the carpet…or mop and wax of the floor. That way the job is cut in half and the action is fast and has a real impact over one weekend. And it limits your mother’s fuss and worry over the whole project. 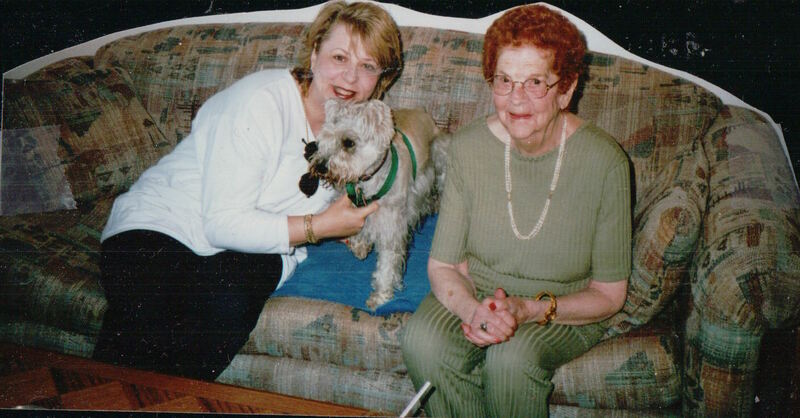 Get a friend, or relative to take your mother for the full day and she will not be there to be nervous and upset over the clean and people in her home. Be very kind. If you know your mother likes knickknacks, do not think your design style will remove them all. Cleaning them and arranging a few on shelves and tucking the rest in a box for the closet will work. You do not want to give away things that are family treasures to her. Take down the huge collection of grandchildren and great grand uncles. Take the pictures to your home and pick out just a few to re-frame and re-hang. The magazines, books, catalogs, newspapers and other clutter do go. Old silk flowers can go or be cleaned and rearranged. (They just get a bath and drip dry.) I always tell the senior that “it was all donated to a charity so others can enjoy it.” It will allow her to relax and know they have a home. Take note; if the magazine subscriptions are doubled…be sure to save a few address labels and notify the publisher. Magazine sellers often confuse and take advantage of elders. Have a special big basket that you will put bills, mail and other paperwork into and take home. At the end of the day, you personally go through it and sort the information. This way you can tell if your mother is still doing well with her paperwork. If so get an expandable file folder and return the information with labels on it. If there are too many old and unpaid bills…keep the information. In the future, you will have to sit down and have a chat with her about her finances. I would wait a few days for her to adjust to the changes in her home before I had a serious talk about her finances. Furniture that no longer works in the room needs to be given to the local charity. Keep throw rugs out of the room- they are a high fall risk. Furniture that clutters the room and keeps her from walking directly to and from the kitchen and bathroom, should be removed. If she is not now, she will one day have a walker – leave room. Just try as hard as you can to think ahead. Look at the room ahead of the clean and see what can be done to upgrade it. Can you buy a slipcover for the couch and new throw pillows? Buy it ahead of the clean, so the room is a nice surprise for her. If your dad used a special chair and he is no longer there, in the home…do not remove it without her knowing about it. That can cross over to a sentimental action that could really put her in a depression over a simple misunderstanding. If the room looks sad and dirty, plan the next weekend to be the painting weekend. Give the rooms a quick coat of fresh paint. You want the new “green” paint that has a low odor factor. It will let her feel like she has new things. At the same time, she will still have the feeling of safety around her with her things back in their place. No putting off projects on your part. If you make a commitment to do this project, do it right and on time. Elders need their safe places…don’t leave her without her home in working order. Her bedroom will need new linen, bedspreads and drapes. Go and buy the “Bed in a Bag” ahead of the clean and give her a nice uplift with new colors and new sheets. Her closet will need new hangers…buy 50 skinny hangers ahead of the clean. Clean the room and re-dress her bed in new linens and her windows in matching drapes or blinds. Clean the rug or floor. Make sure she does not have a throw rug to trip on, by the bed. Keep something in your mind as you clean. This home will be up for sale in a few years. If you paint the home use a very neutral tone and if you need to shine the floors do it… they will look good for the future home sale. That is why taking down old drapes and putting up fresh ones…is wise. Your mother will enjoy them now and it will aid in the sale of the home later. This project may seem like a pointless action that will just get your mother really mad at you. You may be right. But keeping her in her home and safe is your goal…and that requires you to be the strong one sometimes. If you do a good job, she will secretly fall back in love with her house again…and you will wind up the good guy in the end! Thanks for all you are doing…care giving is a special gift that rarely is appreciated …. Dear Francy; My mother seems to be going into a deeper depression. She seems to be recovering physically well from her last small stroke, but she is just not herself. She feels down and not involved with everyday life. I am having a problem with her paying attention to what the day is or what food she wants to eat. How can I bring her around? I am sure you have spoken with the doctor about her depression, that is a part of the brain that is also effected by the stroke and special medications can be prescribed to help her with her mental state. As the brain repairs it has to be exercised just like you are doing with her body. So you will have to make sure you participate in her emotional wellness as well as how well she walks or talks as she recovers. Even if you are talking to her over the phone each day, or in person, you will be doing a few things that will involve her mind and emotions so she gets back into life with her body and mind. Your interaction with a recovering stroke victim is in the morning or in the afternoon after food and a nap. So you get them fresh, it will be up to you to arrange your own schedule around that time frame. When speaking to the senior, use an up tone in your voice so they can see a difference in an everyday conversation, and an animated conversation. As you would a very young child of two or three, use words and facial expressions that include smiles, laugh, questions, and surprise. Taking information you have and making sure it is restated and then adding questions that are easy for her to answer is how you begin. When you call back in the afternoon, you will ask about her food for that evening and suggest a TV show that is coming on that you want to watch and you will call her just before it begins to remind her so she doesn’t miss it. Ask if her wash is in the dryer and how the card party was with the girls, stretch her mind with asking about what she ate and who won at cards. Ask over anything new with the girls. Get her to talk about things that are up front in her brain. Bring out more than yes or no answers, with an upbeat voice again, ask about what the girls were wearing or where they went for lunch. Push her brain, push it in the direction that she has always had interest in, but know when to be calm and listen. 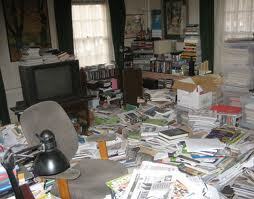 When you go over to visit and you see the house in a mess…remember her mind has to learn how to organize again. So roll up your sleeves and get one room done at a time. Find small clear plastic boxes that are easy to carry and fill them up with like items and then use a large print label maker to mark them. Just like you did for your toddlers when they had so many small toys, cars, crayons remember? Now it is your mother’s time to organize, vacuum bags, filters or parts in one box. Candles and matches in another. So when she is missing something and in a huff looking for it, she can open a cupboard and read the box. It helps her mind relearn how to stay organized and find things instead of being stuck inside a swirl of a mess. When the mind is healing from a stroke or other trauma, or in the middle of dementia the home needs to be clear and clean around the senior. If the front room or kitchen was covered with small items art or otherwise, pack them away for a while. Tell the senior you are clearing it to prepare for the room to be painted and we will go through the box and get things back in place after the painting. Then remove the box to a place in the garage or storage area. Look around the room and see it with an eye that could get distracted. Look again, what needs to be in the room and what is just extra clutter for the brain? Example; lots of seniors have a full wall of photos of grandchildren and family members right by their TV chair so they can see it. If you look again at that wall, it becomes a maze of endless photos that have been added to over the years. So, how about picking out three or four pictures that the senior loves. Take down the older pictures, fill the holes in the wall and repaint and then put up the four larger photos in a row…so it is easy on the mind’s eye to focus on the pictures not to just see a jumble of frames. It will calm the senior’s eye and make it easier for them to rest while they are in their favorite chair. Asking your mom to help you, is a great way to help her recover her old self. What did you two always do together, maybe you cooked together, or sorted clothes in the kids room, played golf, walked, or painted walls, pictures, or worked in the yard together. Plan in your mind a task that is no longer than two hours and ask your senior to help you. Have the task all planned out so the beginning and end can happen in a short time. Together you work and together you get it done. You can stand back and admire the great result together, you can talk to others about how your mother helped you finish the task when you are so short on time. You become her cheer leader over a simple task, but it gives her such a feeling of accomplishment. Let go anything that no longer brings her pleasure. The brain in trauma, stroke recovery or dementia is simply changing, so if at one time your mother loved to bake cookies and now it is a chore. Let that part of your mother drop away. She will fill the void with a new enjoyment she has changed and changing is what we all do. This change was just more sudden than others. Anger is an emotion that will come to you and to your mother on her recovery. My husband has his dementia moments and out of those comes so much personal doubt that anger is his way to express the confusion of his brain not responding as he wants. Often stroke patients Even those with TIA’s or baby strokes- can find words are lost to them, actions are lost, rituals are no longer there, lifetimes of interest on certain subjects have faded…it will take your own personal patience to deal with this. You can see if you can easily move them back to the once loved interest or change it into a smaller and less stressful experience. My husband used to love WWII books and would read them endlessly, now he is unable to remember enough to read, so I have gotten him into the Military Channel on the TV. It’s the same information it just comes to him in a way he can absorb and enjoy it easier than reading. Even in days or times of anger…you have to stay calm. You have to back away and give them time to defuse and then re-enter and change the mood or the thought pattern so the day can go forward with joy, not stuck in anger. It takes a lot of creative thought on your part, but being there to cheer them on, will allow them to heal in a positive way instead of simply retreat on a daily basis. I know you have had to do a lot to care for your mother. Stokes can happen in clusters, just as your mother gets well, she could be hit again. So make sure her meds, supplements and her food keeps her as protected and even in body chemistry as possible. You are the person that will give her life a guidance to calm and joy…you are giving her a gift of more than care, you are gifting her with true love. Thank you.